How can you say no to that? 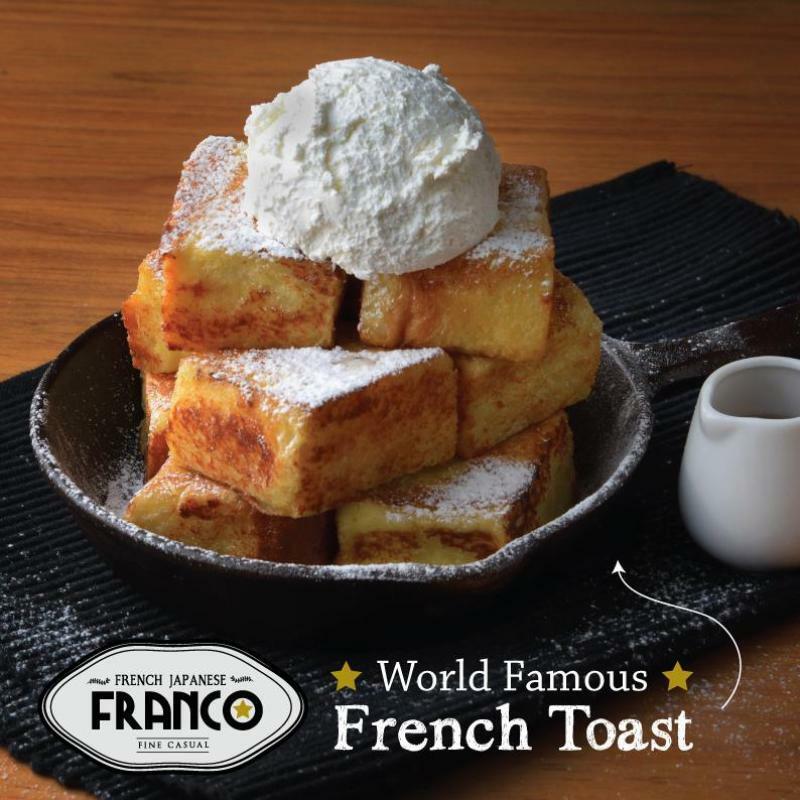 I've long heard about this famous french toast. But I always thought; how good can it be? Will it be worth 20 bucks for a french toast? Turns out the answer is yes! Thousand times yes! 20 minutes later, this magical french toast was ready. The bread were ah-ma-zing! [There were 10 of them]. Super tender goodness, my mind was confused whether or not these were actually bread! Dusted with icing sugar, served with a scoop of whipped cream and maple syrup. 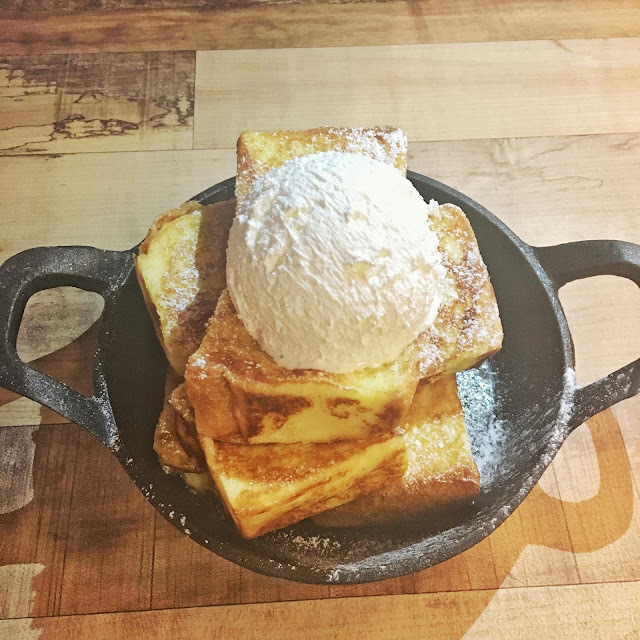 I never had a French Toast this good. Definitely would recommend this to everyone! 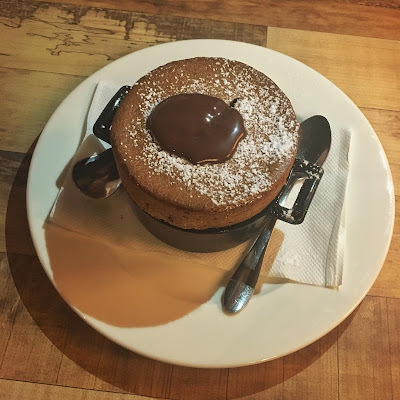 On a side note, I also tried the Chocolate Souffle. Souffle also takes around 20 minutes to be served. It was good as well. Not so chocolaty that you felt like eating cheap chocolate but it has a finesse to it, an elegant feeling. Needless to say, we quickly gobbled this one down too. Visit any Franco branch to try these desserts yourself!